Donald Trump refuses to accept that his fellow citizens should continue to pay for the realisation of the global financiers’ imperial dream. As soon as he entered the White House, Donald Trump was careful to surround himself with three senior military officers with enough authority to reposition the armed forces. Michael Flynn, John Kelly and especially James Mattis, have since left or are in the process of leaving. All three men are great soldiers who together had opposed their hierarchy during Obama’s presidency . They did not accept the strategy implemented by ambassador John Negroponte for the creation of terrorist groups tasked with stirring up a civil war in Iraq . All three stood with President Trump to annul Washington’s support for the jihadists. Nonetheless, each of them had his own vision of the role of the United States in the world, and ended up clashing with the President. The storm whipped up by the mid-term elections has arrived . The time has come to rethink international relations. When in April, as he had promised, Donald Trump mentioned US withdrawal from Syria, the Pentagon persuaded him to stay. Not that a few thousand men could turn the tide of war, but because their presence acted as a counterweight to the Russian influence and a backup for Israël. However, the transfer of Russian weapons of defence to the Syrian Arab Army, particularly the S-300 missiles and ultra-sophisticated radars coordinated by the automated command and control system Polyana D4M1, changed the balance of forces . From that moment on, US military presence became counter-productive – any ground attack by pro-US mercenaries could no longer be supported by US aviation without the risk of losing aircraft. By withdrawing now, the Pentagon avoids the test of power and the humiliation of an inevitable defeat. Indeed, Russia has successively refused to give the United States and Israël the security codes for the missiles delivered to Syria. This means that after years of Western arrogance, Moscow has declined the sharing of control of Syria that it had accepted during the first Geneva Conference in 2012, and that Washington had violated a few weeks later. Apart from this, Moscow recognised a long time ago that US presence is illegal in terms of International Law, and that Syria can legitimately act in self-defence. General Aharon Haliva came to Moscow at the head of an Israëli delegation on 17 December 2018. He informed his Russian counterparts about Tsahal’s on-going operations and asked them for the codes to the Syrian missiles. In vain. The decision to withdraw from Syria is loaded with consequences. The Western project for the creation of a colonial state in the North-East of Syria which would be attributed to the Kurds will not happen. Indeed, fewer and fewer Kurds give it their support, considering that this conquest would be comparable to the unilateral proclamation of a state – Israël – by Jewish militia, in 1948. As we have often explained, Kurdistan would only be legitimate within the boundaries which were recognised by the Conférence de Sèvres in 1920, in other words, in what is now Turkey, and nowhere else . Yet only a few weeks ago, the United States and France were still considering the possibility of creating a pseudo-Kurdistan on Arab land, and having it administered under a UN mandate by the French ex-Minister for Foreign Affairs, Bernard Kouchner . The Pentagon project for the last seventeen years in the « Greater Middle East » will not happen. Conceived by Admiral Arthur Cebrowski, it was aimed at destroying all the state structures in the region, with the exception of Israël, Jordan and Lebanon . This plan, which began in Afghanistan, spread as far as Libya, and is still under way, will come to an end on Syrian territory. It is no longer acceptable that US armies fight with taxpayers’ funds for the sole financial interests of global financiers, even if they are US citizens. The post-Soviet world order based on US military supremacy is now dead. This may be difficult to accept, but that changes nothing. The Russian Federation is now more powerful, both in terms of conventional weaponry (since 2015) and nuclear weaponry (since 2018 ). The fact that the Russian armies are one third less numerous than those of the US, and have only isolated troop presence overseas, cancels out the hypothesis of Russian imperialism. The war against Syria will end in the moths to come for lack of mercenaries. The delivery of weapons by certain states, coordinated by KKR funds, may drag the crime on for a short time, but does not offer the hope of changing the course of events. Without any possible doubt, the victors of this war are Syria, Russia and Iran, while the vanquished are the 114 states which joined the « Friends of Syria ». Some of these have not awaited defeat to correct their foreign policy. Indeed, the United Arab Emirates have just announced the forthcoming reopening of their embassy in Damascus. However, the case of the United States is more complex. The Bush Jr. and Obama administrations shoulder the entire responsibility for this war. They were the ones who planned it and realised it within the framework of a unipolar world. On the other hand, as a candidate, Donald Trump accused these administrations of having failed to protect US citizens, but instead having served the interests of transnational finance. As soon as he became President, Mr. Trump persistently cut his country’s support for the jihadists and withdrew his men from the Greater Middle East. 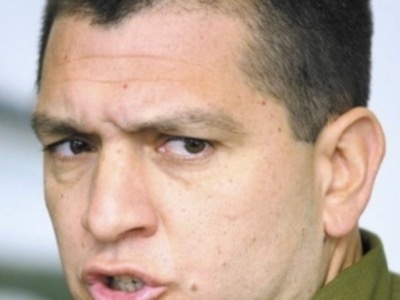 He must therefore be considered as one of the victors of this war, and could therefore logically avoid the US obligation to pay for war damage caused by the transnational companies implicated . For him, it is now a question of reorienting the armed forces towards the defence of US territory, ending the whole imperial system, and developing the US economy. For the last few months, the United States have been discreetly negotiating with the Taliban for the conditions of their withdrawal from Afghanistan. A first round of contact with ambassador Zalmay Khalilzad took place in Qatar. A second round has just begun in the United Arab Emirates. Apart from the two US and Taliban delegations, Saudi Arabia, the United Arab Emirates and Pakistan are also participating. A delegation from the Afghan government has also arrived, in the hope of joining in. It has been seventeen years since the United States and the United Kingdom invaded Afghanistan, officially in retaliation for the attacks of 9/11. However, this war followed the 2001 negotiations in Berlin and Geneva. The invasion was not aimed at stabilising this country in order to exploit it economically, but to destroy any form of a state in order to control its exploitation. So far, this has worked, since every day the situation is worse than the day before. Let’s note that Afghanistan’s misery began during the Carter presidency. National Security Advisor, Zbigniew Brzeziński, called on the Muslim Brotherhood and Israël to launch a campaign of terrorism against the Communist government . Terrified, the government appealed to the Soviets to maintain order. The result was a fourteen-year war, followed by a civil war, and then followed by the Anglo-US invasion. After forty years of uninterrupted destruction, President Trump states that US military presence is not the solution for Afghanistan, it’s the problem. General James Mattis promised to dissociate US armed forces from the jihadists, not to dislocate the alliance around the United States. By withdrawing half of the US troops legally stationed in Afghanistan and all of those illegally occupying Syria, President Trump is keeping one of his electoral promises. He still has to withdraw the 7,000 men and women who remain. 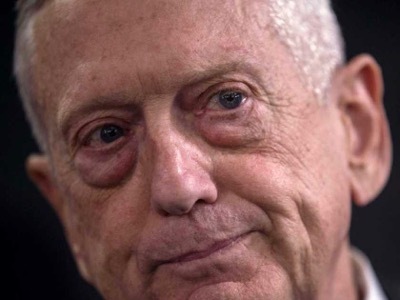 In other words, James Mattis does not contest the logic of the withdrawal of US troops from Afghanistan and Syria, but what will probably follow – the dislocation of the alliances around the United States and finally, the possible dismantling of NATO. For the Secretary for Defense, the United States must reassure their allies by giving them the impression that they know what they are doing and that they are the strongest. It matters little whether this is true or not, the point is to maintain the cohesion between the allies, whatever the cost. However, for the President, there is a clear and present danger. The United States have already lost their first economic status to China, and now their first military place to Russia. It is necessary to cease being the one-eyed man leading the blind, but first to look after ones own. In this affair, James Mattis is acting like a military man. He knows that a nation without allies is lost from the start. Donald Trump thinks like the CEO of a company. He must first clean up the deficient affiliates which are threatening to sink his enterprise.